Starbucks Japan is teaching how to make a bow tie with their recycled paper bags. Coffee Bean & Tea Leaf Cambodia teased about their upcoming mobile app. 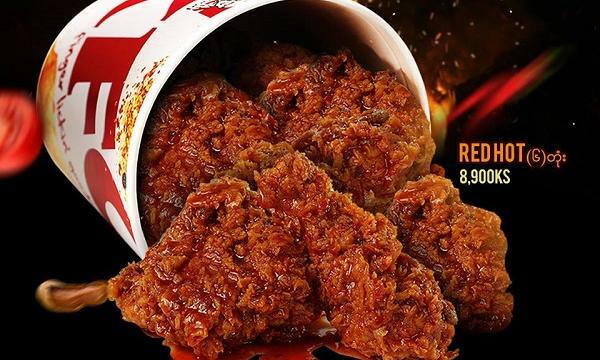 KFC Myanmar launched their new Red Hot Chicken flavour. Subway Philippines unveiled their new Jingle Melt subs. Burger King Thailand introduced their new Apple Cranberry Pie. Baskin Robbins Malaysia released their limited-edition Build Your Snowman range. Bo’s Coffee Philippines launched their Hot Creamy Latte. McDonald’s Malaysia will give away a year worth of Grilled Chicken Burgers if a customer can eat the most burgers in the GCB Mukbang Challenge. Domino’s Philippines teased about their upcoming Megaweek.